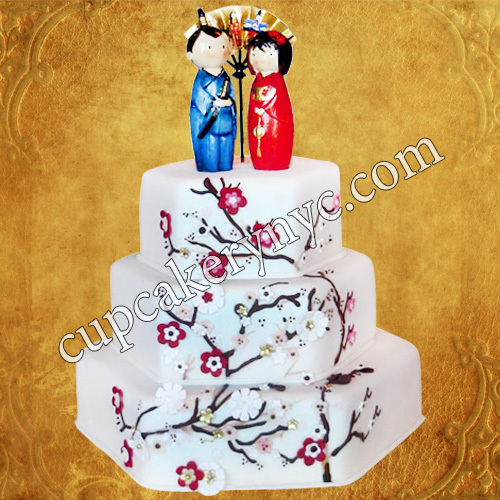 Japanese themed cakes are quite popular in New York these days. 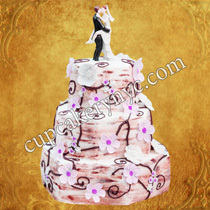 They are elegant, extraordinary and can be very delicious – if made properly by professional bakers and decorators. 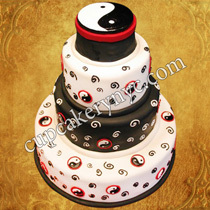 You can order your Japanese themed cake at CupCakery and be sure that we will craft a unique work of art for you. 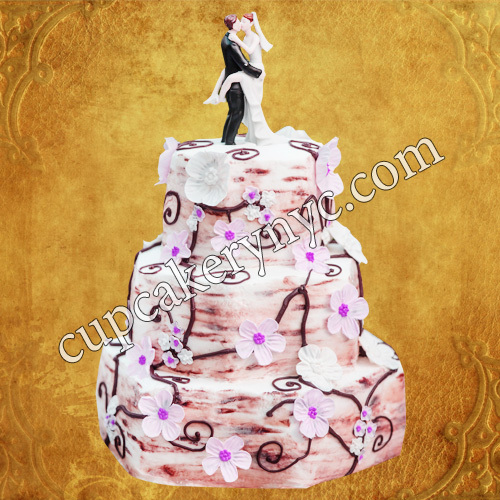 You’re free to choose any cake design from our gallery or ask us to reproduce your own unique idea. We create gorgeous and delicious Japanese themed cakes, cupcakes, cake pops, cookies and other desserts. 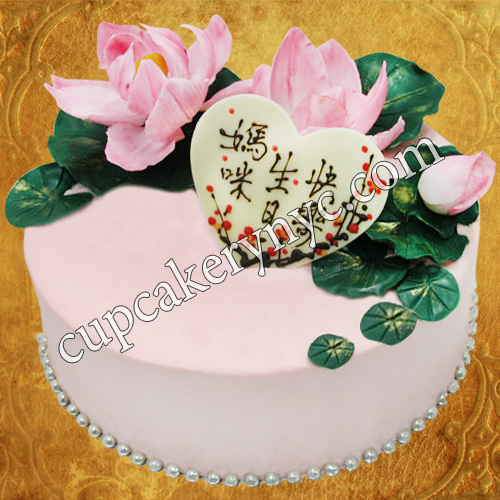 We can make any Japanese symbol into a lovely cake designed uniquely for your celebration. 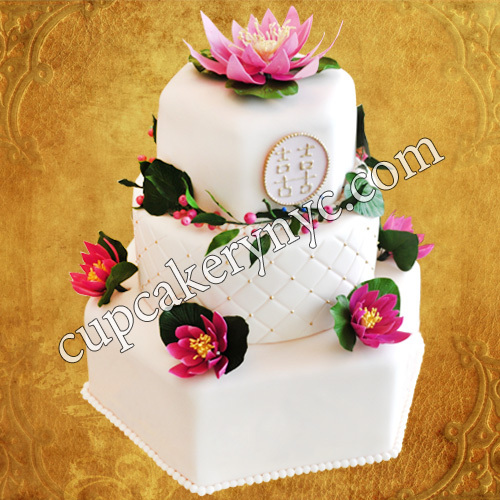 Japanese cakes can be decorated with colorful cascading paper origami cranes, fondant fans, kimono prints, Japanese symbols (hieroglyphs) or golden dragon designs. 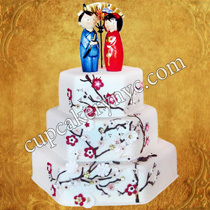 However, exquisite bride and groom toppers and cherry blossom motifs are some of the most common ideas for Japanese themed wedding cakes. 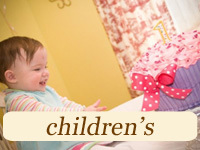 You probably know that cherry blossom (also called sakura) is the national flower of Japan. 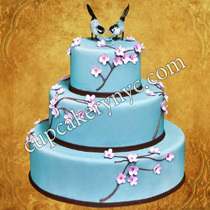 Cherry blossoms symbolize spring, the awakening of nature and the fragile, fleeting beauty of life. Each year Japanese people closely anticipate and even celebrate the blossoming of sakura. 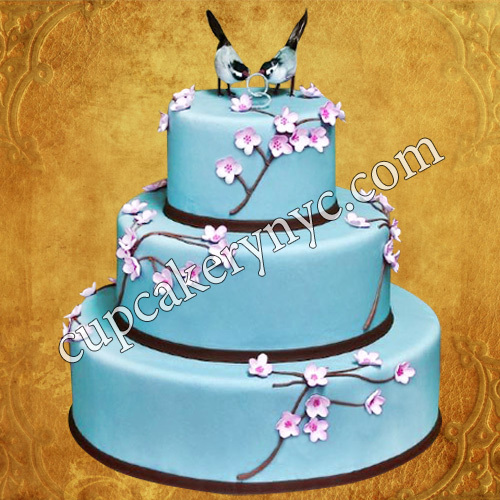 Are you looking to get a unique cherry blossom wedding cake that will take your breath away and make the guests rave about how good it is? 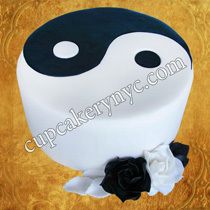 You can buy custom cakes in NYC at our cake boutique. 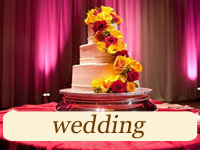 Our team of professional cake bakers and decorators will create an amazing cherry blossom wedding cake for you. Japanese cuisine is another source of inspiration for our cake designers. 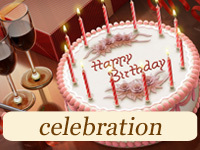 You will be amazed to find out that your sushi roll cake is covered in butterceam frosting, and that wasabi, chopsticks, platter seaweed and shashimi are made from fondant. 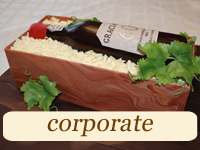 We make amazingly realistic sushi cakes! 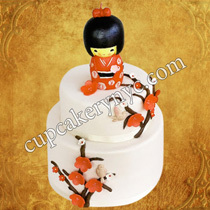 Another Japanese cake idea is a samurai birthday cake. 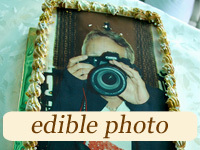 Samurai cake is a very original gift idea for your dad, teenager son or aikido/judo/karate/sumo instructor. We can also make a stunning specialty cake for your Power Rangers Party, along with Japanese themed cupcakes, cake pops and iced sugar cookies!